So. I haven't blogged since August. I went to New York and totally got out of the habit of blogging, and then I went back to uni and just never got around to it. But my new year's resolution is to blog more. So here I am! Now, on to this post. The lovely Charlotte over at Lipglossiping (whose site is down at the moment, so I can't link to it right now.) 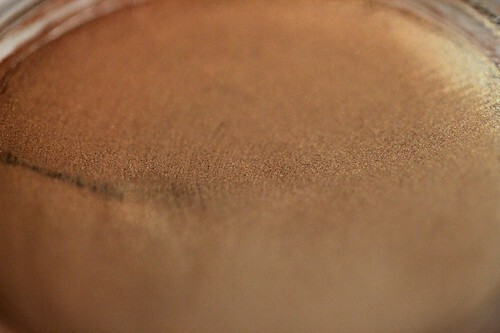 posted about a Laura Mercier cream eyeshadow in a bronze colour. 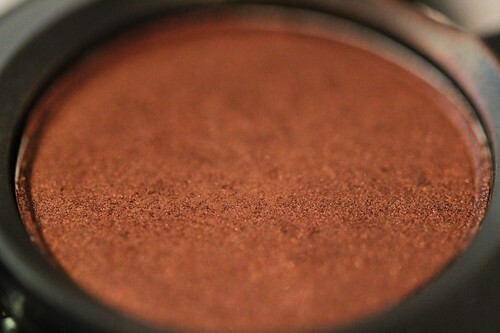 Ever since then I have been on the hunt for my perfect bronze cream eyeshadow. 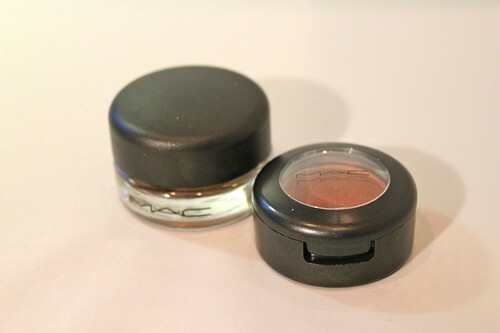 Enter Mac's Indianwood paint pot and Antiquated shadow. And so begins my love affair. Indianwood, the paintpot is a lovely bronzy-goldy colour. Antiquated is a Veluxe Pearl which is beautiful, with browny-bronzy tones. Individually I like them both a lot. 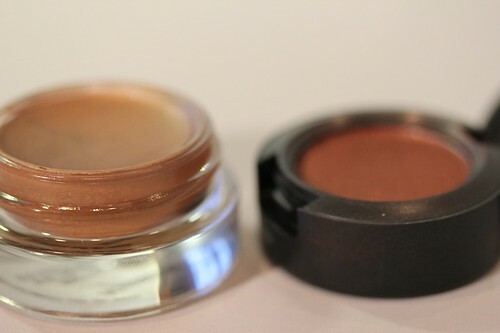 The paint pot is a really great shade, and it blends easily and I can just put it on and go. These are quite new purchases so I haven't tried it yet, but I bet it would look great as an eyeliner. Antiquated is a gorgeous shade but on its own it lacks depth. When you put these two together, however, they look gorgeous! 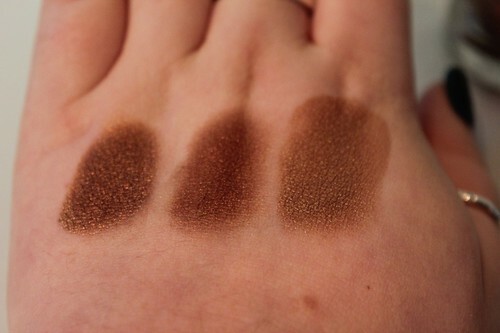 On the right is Indianwood by itself, in the middle is Antiquated by itself, and on the left is them blended together. As much as I love these two together, it's not quite perfect enough for me. 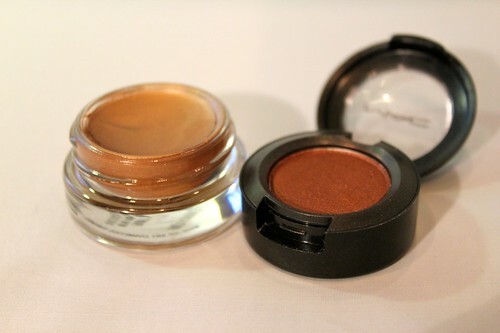 I suspect the perfect bronze cream eyeshadow is the Laura Mercier one that Lipglossiping originally posted about!